After you have read this article, hopefully you will abandon any thoughts of failure and you will begin to feel more inspired and motivated to go for your goals. Everybody's journey to being successful will be different. They will be many twists and turns, highs and lows, victories and disappointments. It is important to realize and accept that it is OK to lose and it is OK to get it wrong. What is more important is how you react, how you allow the disappointments and setbacks to affect you and how much you learn from your failures and losses. Because each failure and each disappointment is an opportunity to learn a very important lesson and it will present you with the chance to become better. Before you begin your goal or success journey. It is helpful to try and learn as much knowledge and gather as much information from experts in your field as you possibly can. As this can reduce your chances of making mistakes or doing things the long and hard way by trial and error, so you can achieve your success in the fastest and easiest route possible. No one can define your success, it is all about your personal achievements, no matter how big or small they are, because only you can define your own successes. Different individuals will define success differently, for some success is defined as being wealthy in their business venture or profession. If you're into sports, it will probably be about winning trophies or striving to be the best. Some people's idea of success is being famous or successful in your chosen craft or field of expertise. For others, success, may be all about keeping fit and healthy or being in good physical shape. Whilst for others having a successful and loving relationship and living happy life is their idea of success. What ever you want. You should aim to make your journey to success, as enjoyable as possible. Many successful people claim, it is more about the journey than the final destination. Loving and enjoying what you're doing, is a great bonus because you feel more inspired and motivated to do the action work. Although you may feel as if you want to find and follow your purpose. Your real purpose, is to feel good, have fun and enjoy yourself. Get this part of the equation right, and your success will follow and it will be easier and less stressful. These days it seems that nearly everybody is demanding instant success and results. And although each person's personal journey to success is different. There is rarely such a thing as, overnight success, and the chances are, your road to success will take many twists and turns and there will be many ups and downs and highs and lows. Success is all about taking and implementing small but progressive daily action steps and following and creating a new positive daily habits, rituals and routines. There may be times when you have to step out of your comfort zone. In some cases you may get rejected at your first attempt or things might not happen as quickly as you would have liked. The thing to bear in mind is, failure is an important process of success. Nobody, gets it right first time everytime. Trying to be successful, without being prepared for experiencing the failures, is not a very good strategy to have. Because, you will perceive, any failures, as weaknesses and a moment of defeat. But if you put your mind to something, you can accomplish and overcome anything. Trying too hard to be successful or wanting it too badly, is another pitfall that needs to be avoided. As this can instantly cause unnecessary pressure that you could do without. If you make it your goal to be successful at all costs, when things do go wrong, or not as well as you expected. Then it can lead to feelings of frustration and disappointment, or the need to try harder and harder. So rather than allowing failure turn your mind into negativity, let it be your teacher, and see if you can learn a lesson from it, so you can become and do better. Success rarely happens by chance, it is usually a result of following a solid structure and plan, combined with the right, persistently applied strategies and actions. These should involve both working on the physical action, as well as working on your mindset and emotional state. Sometimes you want to follow the inspiration and success of a proven idea or strategy. But other times you have to think outside the box, put your own spin on things, be a bit different or use your own innovation and creativity. And once you get the positive momentum flowing, just allow your success to evolve as you go, making small adjustments along the way, as these can make a big difference. Mental and physical preparation are the starting point for being more successful as the saying goes.
" Fail to prepare and prepare to fail". The first and probably the most important step is having the right mindset. If you neglect the mindset and you only focus on the how, then you will be neglecting one of the key ingredients to becoming more successful. Nearly all high achievers and successful people have a sustained appetite to learn, grow, and to strive to be the best. Some people may tell you that success is easy, and it does not require hard work. But, if you study the highly successful, most of them will tell you different. As a general rule of thumb. There are not many short cuts to success, or any systems, that are going to make you a lot of money, or make you successful, without hard, combined with having and maintaining a determined and persistent mental positive attitude. To be successful, you have to be either very knowledgeable, very skillful or very good at what you do, they also sacrifice, a lot of things, to practice, learn and develop their skills. There are no set ways to success, having a good mentor or coach, will be of great help, which will benefit you tremendously. But, sometimes, you have to learn as you go. There are only so many hours in each given day, and to avoid burnout and emotional overwhelm, as well as being able to perform at your peak efficient best. You need to be able to operate at your optimum and peak performance best, so knowing how to be at your most productive best, a good skill to acquire, is to know how to manage and make the most of your precious time. Having said that. You should aim to make your success journey as easy and as enjoyable as possible, taking the path of least resistance, to your final destination. Success requires a strong commitment to get you to where you want to go, and you will, usually, have to make some sacrifices along the way. If at any time you find your commitment wavering, think about all the positive reasons, why you wanted to be successful in the first place to reignite your passion. Often the main reason why people want to be successful is to escape from the life that they're living at the moment or to avoid living a life of struggle. Depending on the size of your goal, this may also involve, making some lifestyle changes, which may require you, to cut back on some of your old leisure activities. Especially, if they are unhealthy, or they are denying you of the time you need to set aside, for learning, applying and developing your skill levels. If, you have any toxic people or negative people in your life. Try not to spend too much time with them or at least, don't allow them to drain your energy or allow them to dampen your enthusiasm. Decide that you will not stop or give in, no matter how hard things get and no matter what challenges and obstacles you need to overcome. Even when things get tough keep going, the biggest obstacle most people have to endure is themselves and their negative ego. Take one step at a time, this way you won't start to feel too overwhelmed by the magnitude of your goal, if you look too far ahead or you try to do too many things in one go then that can cause stress and overwhelm, there is no need to rush. The last thing you want is to get stressed or frustrated, you need to stay energized, creative and enthusiastic and stress will block out all of these. This is why it is important to put aside around twenty minutes a day to deeply relax and one of the best ways to relax is to meditate because your health and well-being a far more important than success. Learn to unwind a few hours before you go to bed and although you have to put in the work ethic to become successful don't neglect yourself. Although you have to be committed and make sacrifices make sure you pursue your hobbies and make some time to do the things you enjoy, or read a book or get out and observe nature. When you're feeling overwhelmed or things are getting on top of you. Take a mini break, and have a few moments to relax and chill out and compose yourself. Never try to keep on going, when you're feeling stressed, overwhelmed and frustrated. Everything has to have a starting point, so it does not matter what your situation is at the moment, just take the first step and keep on growing and improving at a pace that suits you. Because if you never give your goal a chance then you will never know what could have been. There is nothing worse in life than regret, at the end of your life or venture at the very least you want to know you give it your best effort. Before you can motivate yourself, you need to have a positive and worthwhile reason for why you want to achieve your goal or dreams. A strong motivation is what is needed if you want to turn a dream into a reality, but the best form of motivation is to be inspired. You can achieve this by imagining how much better you or your life will be once you have accomplished your goal. Focus on the rewards, benefits and satisfaction that you're going gain and feel. To summon up the required motivation and drive you have to know that the completion of your goal will be well worth your effort. To reinforce this keep reminding yourself that all your effort will be worth it because some bigger goals will require making sacrifices, this is often known as delayed gratification. If you find your motivation and inspiration taking a dip, watch or read inspiring stories about others, especially people who have already succeeded in the field you want to succeed at. Because it can give you encouragement when life seems tough, knowing that if others have done it you can too. Many successful people state the importance of giving back or helping others. Although you cannot think positive all the time. It is important to think positive and to keep a positive and mental attitude and outlook, even during the dark and difficult times. A bit of positive thinking is great, and not many people get far without having a positive attitude, it also helps you feel better. But it is equally important, not to dwell on the negativity. Sometimes a small amount of negativity, can help you to keep guarded and help to keep you guarded, so you can avoid pitfalls. You can also use your negativity, as your emotional guidance system, because, it is an indication, that you're not on the right path you may need to pay attention or change something. But, that is as far as it goes, and it is just as equally, as important, not to allow your mind to wander and focus on the negative. Negative energy will drain you, and one of the things you need to try and avoid on your pursuit of success is not to slip into a negative spiral downturn. Because, there will probably be difficult times on your road to success and this is where you need to keep positive and optimistic, even if things are not going too well for you. When you remain and feel positive, you will begin to find, inner peace, harmony, and positive energy will begin to engulf you. Because, when you're at peace with yourself and at peace with your world, good things will begin to happen for you and you will be able to perform, at your peak performance best. To succeed, you first need to know what you want, and you need to make a clear and well defined impression of your vision on to your subconscious mind. 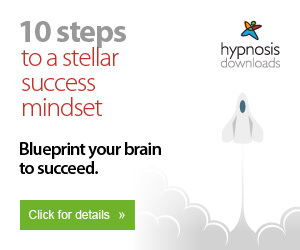 So you're all powerful and all knowing subconscious mind, has a blueprint to follow. Your mind, and the universe responds to your feelings, so if you're going to visualize your desired outcome, it needs to be surrounded with positive emotions. Many people, fall into the trap that they have got to spend all their time focused on their goal, however this can have an adverse effect. One of the main reasons for visualization, is to drum up those positive feelings and to show your mind, that is possible for you to accomplish your goals, or that there are better options and possibilities available. To set the wheels of success in motion, all you have to do is, to let your mind or the universe know, what you want. Then you need to let go of your desire and hand it over to the universal intelligent mind. The how part, is not your job, so there is no need for you to frett or worry about it or try to figure it all out by yourself. Give your mind clear instructions, of what you want, and keep giving it clear instruction, to help you through each step and process of your success story. Your subconscious mind, cannot not tell the difference from what is real and what is imagined. This means that you do not have to tie any conditions or outcomes to your visualization and thinking. Only visualize, if it is making you feel good. When it becomes tedious and a forced chore, or you're not getting the positive feelings, take a break for it. Although the right positive attitude is essential you still need to do the work and action that is necessary to take you to where you want to get. Goals without action will remain wishful thinking, you're going to need to put in the levels of work that are necessary. This will require motivation, determination and will power, the hardest part for most is getting up and running. Sometimes this is because they don't know where or how to begin whilst others cannot sustain the amount of inspiration and sometimes the sheer will power and drive that they need. The main components of success are motivation and determination combined with the attitude of nothing is going to stop you. The more you practice and work on strengthening your will power and determination the easier you will find it to motivate yourself. Having a good mentor or coach is important to help you overcome or avoid any pitfalls or obstacles, then once you get the positive momentum going, the key is to keep it going even when you get setbacks. If you do make a mistake or hit the wall, it can pay to go off and relax and then when you're feeling calm, look back and reflect on how you could have done things better. Success also involves stepping out of your comfort zone and leaving behind some old habits and unhelpful ways of thinking, and replacing them with new positive habits of success. Your intuition is your greatest teacher and mentor. It can help guide you and help you make the right decisions, it is your connection to the universal intelligence. When you're stuck, ask yourself questions and ask for help, this does not mean everything your mind tells you is correct, sometimes your ego can take over so you still might make mistakes, but if you can separate your ego from your intuition then you will have a powerful inner guidance system. Writing a list of what you want and then dividing it into a realistic timeline and a plan of action can help set a new blueprint for your mind to follow. Write down how you would like your life to be and what you want and in another column write down what you think you need to do to achieve your goal or turn your life around for the better. Also jot down in a journal of your progress and use it to remind you every so often how far you have progressed, because in our quest to be more successful or more confident we forget how far we have progressed. There will be many times when you feel like quitting, especially when you're not getting the results that you desire or deserve, even though you've followed all the correct procedures and you've been doing the hard work. Achieving goals are fraught with challenges and ups and downs, these obstacles will come in many different forms and they can sometimes strike when you least expect them or you have just started making good progress. Whatever your goal you are sure to run into many setbacks and disappointments that can leave you feeling tired and disheartened. Setbacks and obstacles can be difficult to handle and they can make you feel frustrated and wanting to quit, you might think why bother putting yourself through all this pain and suffering, think of the positive reward. During these dark periods you have to dig deep inside of yourself to summon up the motivation, strength and drive that's will push you through these obstacles and help you overcome the challenges that you're facing. This could be a good time to stop and reflect on where you are compared to where you want to be, have a break, recharge your batteries, then analyze the situation carefully and focus on what you can do to solve the problem or better what you're doing. You will reach a point on your way to becoming successful, where you will feel fed up and tired of trying. There will be times when you feel you have failed and it's just not worth the effort anymore. After failing many times, and all successful people fail many times and make many mistakes, it will leave you feeling frustrated and even feel a bit depressed for a brief while. Sometimes, the stress and tension you will feel between what you want to achieve and the place where you are at the moment will become too overwhelming and too difficult to bear. The easy option will be to give in rather than being constantly reminded every day of where you are right now, and having to listen to those same old self defeating and self destructive inner stories and negative comments. After all, if you're not getting the results you expect, then why endure all that pain and suffering. But if you quit, you will never know what might have been, and it is well documented, that most successful people found great success, just beyond the point of adversity and setbacks where they were about to give in. Allow your failures to be your best teacher. So try to remain positive and upbeat in those difficult times, make it your mission to learn something from each setback and failure, and keep focused on the end positive outcome, rather than putting your attention onto, the not happening or things going wrong. One of the best tips you can have to be successful is to always strive to be better, because the day you think you have reached your true potential is the day you stop growing and the point where you begin to get left behind by your competitors. Sadly, it has become human nature to focus on the negative instead of putting your attention on getting better at what you're doing. Many people allow their past failures, mistakes and conditioning to project the negative into their future. This creates fear of failure and anxiety. What you should be doing is, you should program and condition your brain to seek out ways of getting better and teach it to enjoy what you're doing. Instead of focusing on failure and things going wrong for you, tell yourself you can do it and only think about what you can achieve and the ways in which you can improve and do things better. It is alright to analyze and learn from your previous mistakes and failures, but don't dwell on them and don't allow them to influence your future and your emotional and physical state. You will perform better and you will achieve better results if you're in the peace and calm of the now. Your biggest obstacle to success is the battle you will have with yourself. When you stop battling with yourself and you take some of the importance of achieving your goal and you put more effort into enjoying what you're doing so you begin to release some of the pressure, then you will achieve more success and you will achieve better results. But if you fear failure or you focus on the negative, then you will create more negativity and more anxiety, and you will condition your mind to play safe, and you won't grow if you keep on taking the safe option. To avoid fear and anxiety, keep out of the past and stop focusing on things going wrong in the future. Also try not to dwell on the negative, because when we focus on the negative we block out all the positive and good. If things have or they are still going wrong, or if you're not getting the results you want, don't beat yourself up and create even more frustration and fears, just think about what you can achieve, what you have already achieved and how you can do things better and only plan for a better future. People rarely stumble on success by accident, or chance. Success, and more importantly, your very own success, will be a result of you having a clear vision and plan, that you fully intend to see it through until you accomplish your desired goal or task. Those who achieve success, rarely follow the path of your average person. Their success is a result of following of regularly applied strategies, daily rituals, positive habits and inspired and decisive action. It also involves, overcoming any self doubts, fears of failure and pushing the little you aside, so you can unleash the bigger and limitless you. You can save yourself a lot of wasted time and energy, as well as accelerating your path to success, by setting aside an allocated amount of time each day. To listen, study and learn and extract, valuable information, knowledge and wisdom and time saving methods, from those who are already successful. Nearly, if not all successful people, read a lot. There is a good reason for this, as reading will give you a great insight into the thought processes, the positive habits and the wisdom, of the already successful. Reading will also offer you, your own personal mentor, coach and advisor, by supplying you with proven methods, knowledge, shortcuts, information and techniques. That will help you overcome challenges, overcome your problems, improve your skill levels, all of which, is going to give you a distinct advantage, over others.